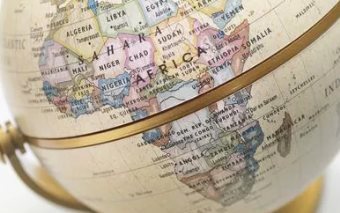 Home Editorial What Exactly Does Sub-Saharan Africa Mean? AFRICANGLOBE – It appears increasingly fashionable in the West for a number of broadcasters, websites, news agencies, newspapers and magazines, the United Nations/allied agencies and some governments, writers and academics to use the term ‘sub-Saharan Africa’ to refer to all of Africa except the five predominantly Arab states of north Africa (Morocco, Algeria, Tunisia, Libya, Egypt) and the Sudan, a north-central African country. Even though its territory is mostly located south of the Sahara Desert, the Sudan is excluded from the ‘sub-Saharan Africa’ tagging by those who promote the use of the epithet because the regime in power in Khartoum describes the country as ‘Arab’ despite its majority African population. But the concept ‘sub-Saharan Africa’ is absurd and misleading, if not a meaningless classificatory schema. Its use defies the science of the fundamentals of geography but prioritises hackneyed and stereotypical racist labelling. It is not obvious, on the face of it, which of the four possible meanings of the prefix ‘sub’ its users attach to the ‘sub-Saharan Africa’ labelling. Is it ‘under’ the Sahara Desert or ‘part of’/‘partly’ the Sahara Desert? Or, presumably, ‘partially’/‘nearly’ the Sahara Desert or even the very unlikely (hopefully!) application of ‘in the style of, but inferior to’ the Sahara Desert, especially considering that there is an Arab people sandwiched between Morocco and Mauritania (northwest Africa) called Saharan? The example of South Africa is appropriate here. Prior to the formal restoration of African majority government in 1994, South Africa was never designated ‘sub-Saharan Africa’, unlike the rest of the 13 African-led states in southern Africa, which were also often referred to at the time as the ‘frontline states’. South Africa then was either termed ‘white South Africa’ or the ‘South Africa sub-continent’ (as in the ‘India sub-continent’ usage, for instance), meaning ‘almost’/‘partially’ a continent – quite clearly a usage of ‘admiration’ or ‘compliment’ employed by its subscribers to essentially project and valorise the perceived geostrategic potentials or capabilities of the erstwhile regime. But soon after the triumph of the African freedom movement there, South Africa became ‘sub-Saharan Africa’ in the quickly adjusted schema of this representation. What happened suddenly to South Africa’s geography for it to be so differently classified? Is it African liberation/rule that renders an African state ‘sub-Saharan’? Does this post-1994 West-inflected South Africa-changed classification make ‘sub-Saharan Africa’ any more intelligible? Interestingly, just as in the South Africa ‘sub-continent’ example, the application of the ‘almost’/‘partially’ or indeed ‘part of’/‘partly’ meaning of prefix ‘sub-’ to ‘Sahara Africa’ focuses unambiguously on the following countries of Africa: Morocco, Algeria, Tunisia, Libya and Egypt, each of which has 25-75 per cent of its territory (especially to the south) covered by the Sahara Desert. It also focuses on Mauritania, Mali, Niger, Chad and the Sudan, which variously have 25-75 per cent of their territories (to the north) covered by the same desert. In effect, these 10 states would make up sub-Saharan Africa. Morocco, Algeria, Tunisia, Libya and Egypt, the five Arab north Africa countries, do not, correctly, describe themselves as Africans even though they unquestionably habituate African geography, the African continent, since the Arab conquest and occupation of this north one-third of African territory in the 7th century CE. The Western governments, press and the transnational bodies (which are led predominantly by Western personnel and interests) have consistently ‘conceded’ to this Arab cultural insistence on racial identity. Presumably, this accounts for the West’s non-designation of its ‘sub-Saharan Africa’ dogma to these countries as well as the Sudan, whose successive Arab-minority regimes since January 1956 have claimed, but incorrectly, that the Sudan ‘belongs’ to the Arab world. On this subject, the West does no doubt know that what it has been engaged in, all along, is blatant sophistry and not science. This, however, conveniently suits its current propaganda packaging on Africa, which we shall be elaborating on shortly. It would appear that we still don’t seem to be any closer to establishing, conclusively, what its users mean by ‘sub-Saharan Africa’. Could it, perhaps, just be a benign reference to all the countries ‘under’ the Sahara, whatever their distances from this desert, to interrogate our final, fourth probability? Presently, there are 53 so-called sovereign states in Africa. If the five north Africa Arab states are said to be located ‘above’ the Sahara, then 48 are positioned ‘under’. The latter would therefore include all the five countries mentioned above whose north frontiers incorporate the southern stretches of the desert (namely, Mauritania, Mali, Niger, Chad and the Sudan), countries in central Africa (the Congos, Rwanda, Burundi, etc., etc), for instance, despite being 2000-2500 miles away, and even the southern African states situated 3000-3500 miles away. In fact, all these 48 countries, except the Sudan (alas, not included for the plausible reason already cited), which is clearly ‘under’ the Sahara and situated within the same latitudes as Mali, Niger and Chad (i.e., between 10 and 20 degrees north of the equator), are all categorised by the ‘sub-Saharan Africa’ users as ‘sub-Saharan Africa’. So, rather than some benign construct, ‘sub-Saharan Africa’ is, in the end, an outlandish nomenclatural code that its users employ to depict an African-led ‘sovereign’ state – anywhere in Africa, as distinct from an Arab-led one. More seriously to the point, ‘sub-Saharan Africa’ is employed to create the stunning effect of a supposedly shrinking African geographical landmass in the popular imagination, coupled with the continent’s supposedly attendant geostrategic global ‘irrelevance’. ‘Sub-Saharan Africa’ is undoubtedly a racist geopolitical signature in which its users aim repeatedly to present the imagery of the desolation, aridity, and hopelessness of a desert environment. This is despite the fact that the overwhelming majority of one billion Africans do not live anywhere close to the Sahara, nor are their lives so affected by the implied impact of the very loaded meaning that this dogma intends to convey. Except this steadily pervasive use of ‘sub-Saharan Africa’ is robustly challenged by rigorous African-centred scholarship and publicity work, its proponents will succeed, eventually, in substituting the name of the continent ‘Africa’ with ‘sub-Saharan Africa’ and the name of its peoples, ‘Africans’, with ‘sub-Saharan Africans’ or, worse still, ‘sub-Saharans’ in the realm of public memory and reckoning.